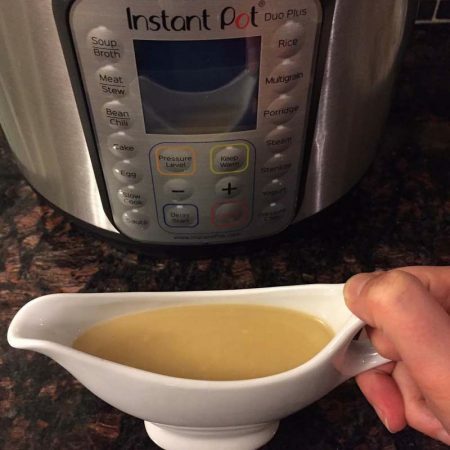 This Instant Pot gravy is so easy to make and tastes amazing! 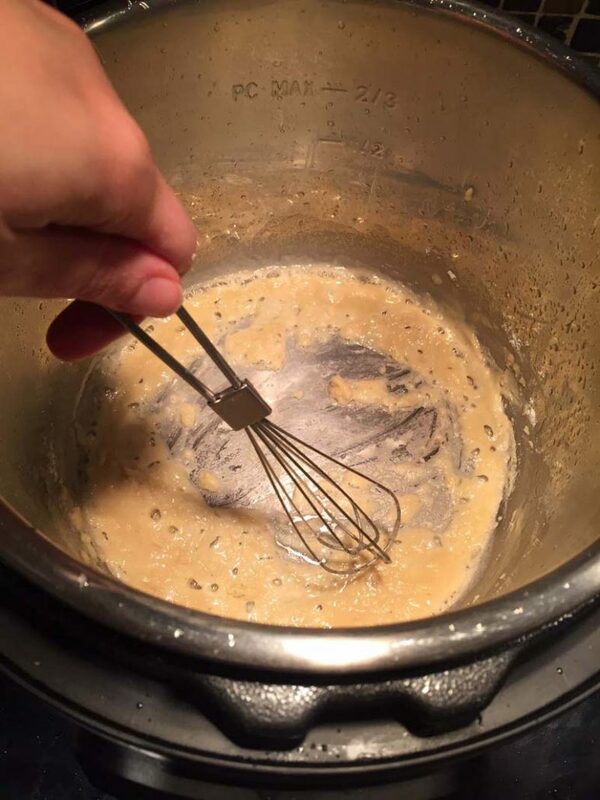 Once you try homemade gravy, you’ll never want to eat one from the can! What should you do with the delicious concentrated drippings from Instant Pot turkey breast or Instant Pot rotisserie chicken? 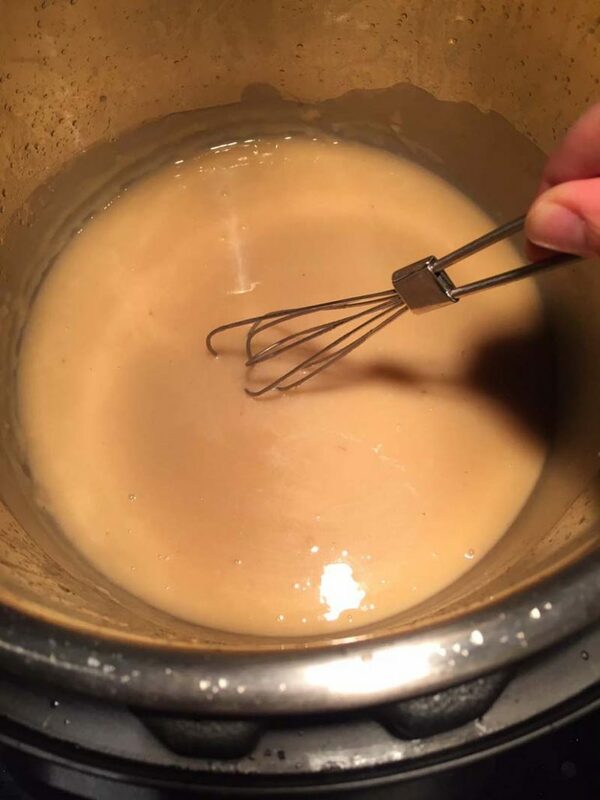 Make a homemade gravy, of course! And how? In the Instant Pot, of course! This Instant Pot gravy is so smooth and delicious, with such a clean pure flavor of homemade goodness that complements the turkey so perfectly (and for a killer recipe for Thanksgiving turkey check out my paper bag turkey recipe – that’s the one I make every Thanksgiving)! 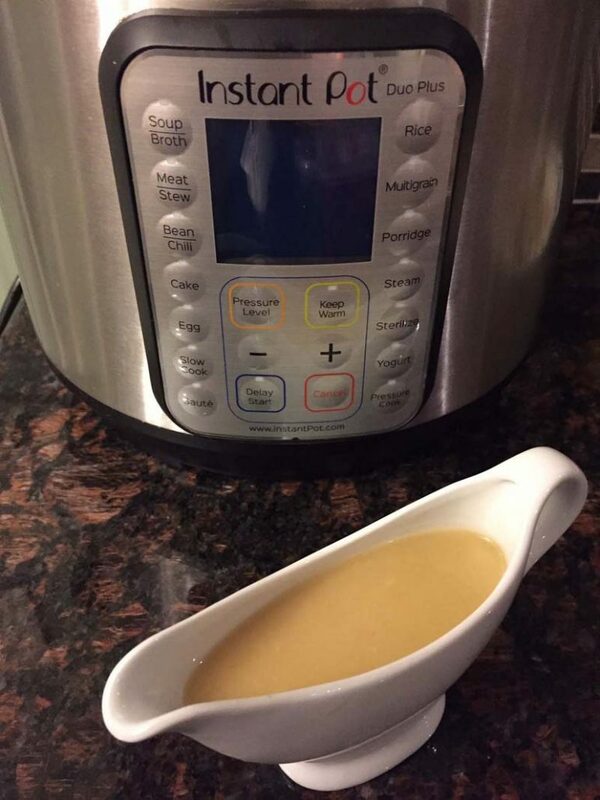 Making your own gravy from scratch in the Instant Pot is super easy. 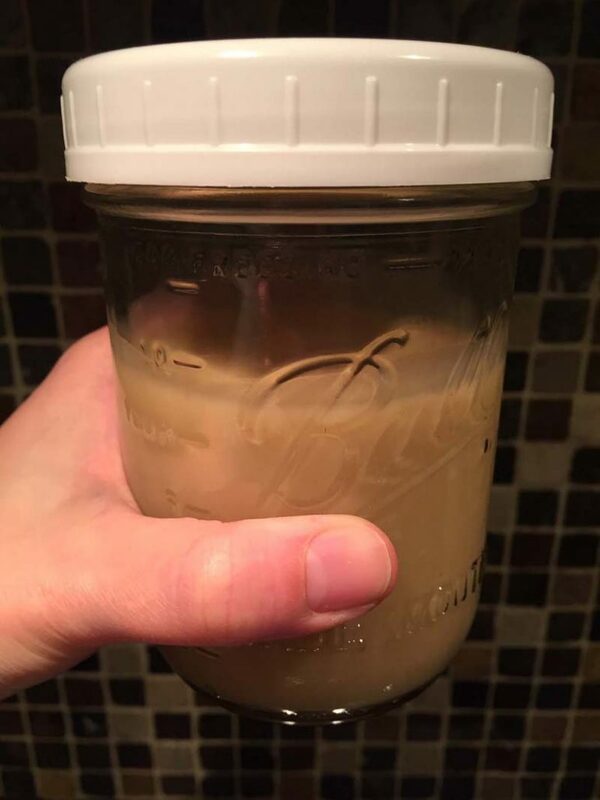 I just took my old staple recipe of make-ahead gravy and converted it to the Instant Pot! Yes, “make-ahead” in my gravy recipe name means that it can be made ahead and reheated! No more scrambling to make turkey gravy in front of the hungry guests. Make your life easy by making gravy ahead! If you looked at the ingredient list of the store-bought canned gravy, it’s truly scary with all those unpronounceable chemicals and stabilizers. 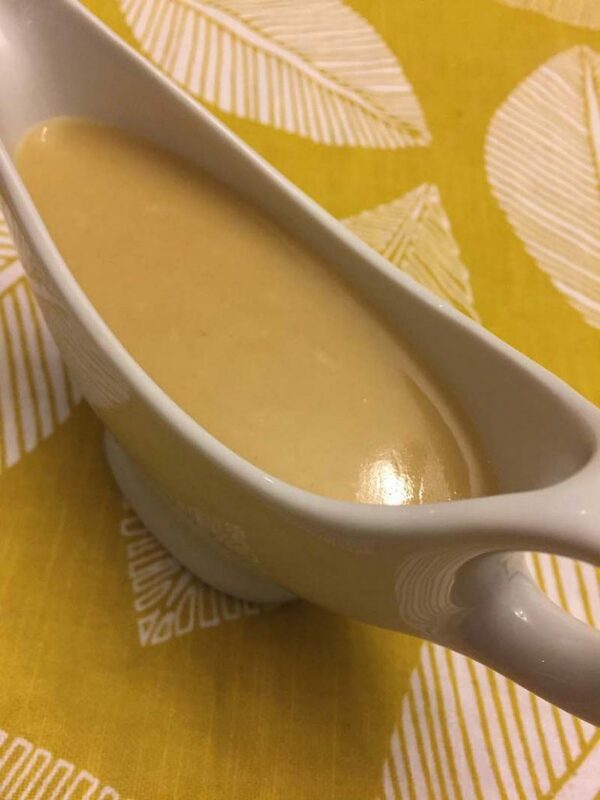 Homemade gravy has just 4 ingredients: chicken or turkey stock (or drippings), butter, flour and salt. 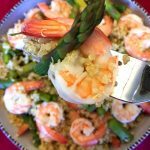 Clean simple ingredients resulting in clean homemade down-to-earth taste that just hits the spot! Step 1: Melt 3 tbsp of butter in the Instant Pot on a Saute setting. Step 2: Add 3 tbsp of flour and mix until combined. Step 3: Add 2/3 cup of chicken stock (or turkey or chicken drippings) and mix until smooth and boiling. Step 4: Add the remaining 1 1/3 cup chicken stock (or turkey or chicken drippings) and mix until smooth, boiling and thickened (about 3 minutes). Step 5: Turn off the Instant Pot and remove the inner pot with gravy (to stop it from boiling). Add salt to taste. 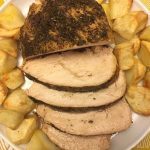 Instant Pot Turkey Breast – serve this homemade gravy over Instant Pot turkey breast – mouthwatering! Instant Pot Pumpkin Soup – so smooth, creamy and delicious, this is a perfect soup for the Fall! Instant Pot Cornbread – golden and fluffy, this is the only cornbread recipe you’ll ever need! Instant Pot Banana Bread – got a brown banana? Make this banana bread right in your Instant Pot! Instant Pot Mashed Potatoes – you don’t even have to drain them, truly life-changing! 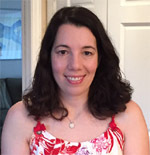 Once you try making mashed potatoes in the Instant Pot, you’ll never make them any other way! 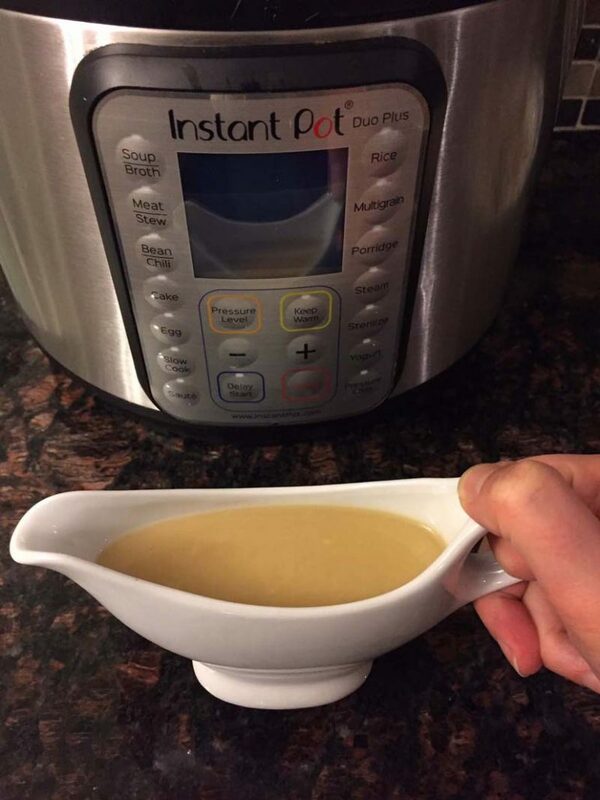 This Instant Pot gravy is so easy to make and tastes amazing! 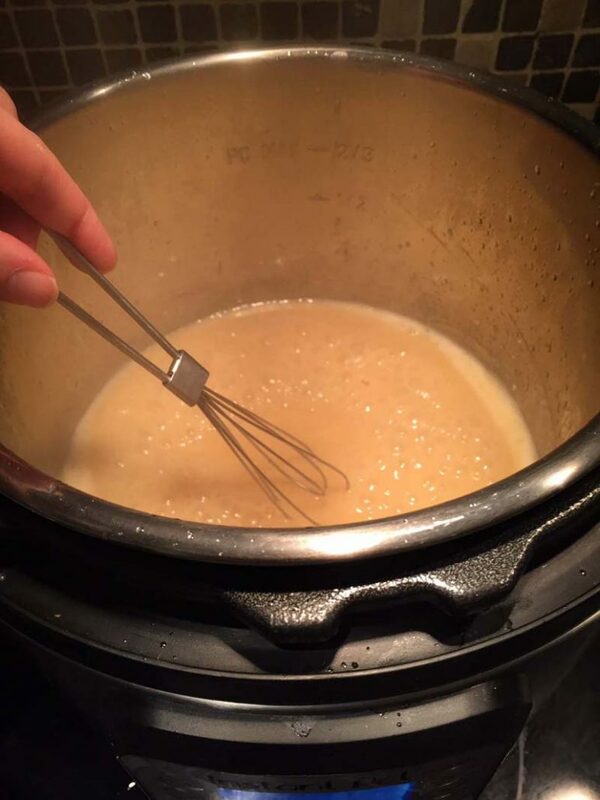 Once you try homemade gravy, you'll never want to eat one from the can! 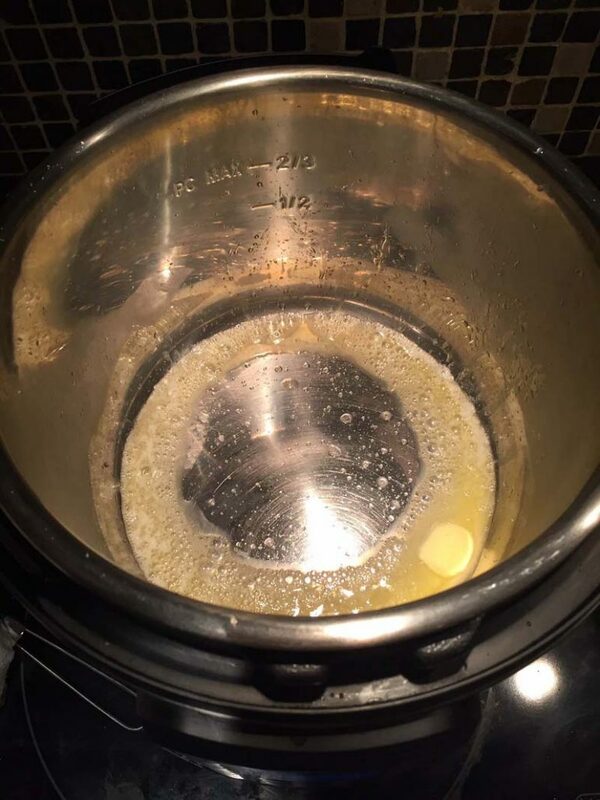 Put butter in the Instant Pot. Press the "Saute" button on the Instant Pot and set the time to 15 minutes. When the butter melts, add the flour and immediately mix it with a hand-held whisk or fork until combined. 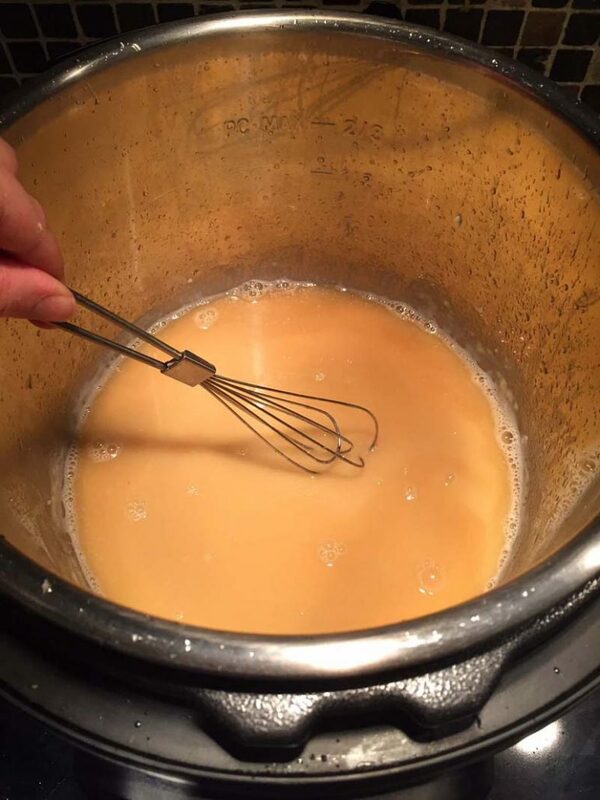 Add ⅔ cup of chicken stock and continue whisking until boiling and smooth (about 1 minute). Add the remaining chicken stock and continue whisking until boiling, smooth and thickened (about 3 minutes). 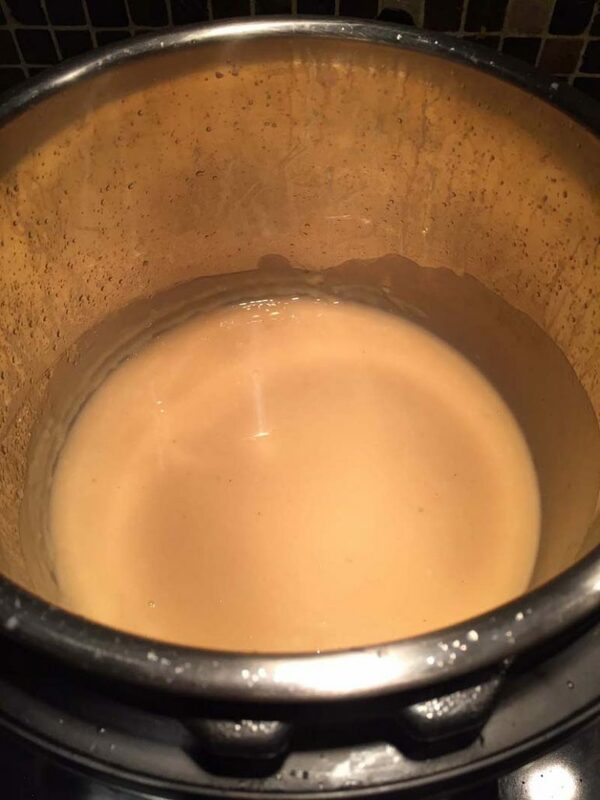 Turn off the Instant Pot and remove the inner pot with gravy from the Instant Pot (this is to prevent it from continuing to boil in a hot pot). Add salt to taste. This gravy can be made ahead, refrigerated and re-heated in a microwave before serving. Need much, much more gravy for a crowd. Would I merely adjust the ingredients proportionally to the amount of stock I use? Yes, just double or triple all the ingredients and use same cooking instructions.